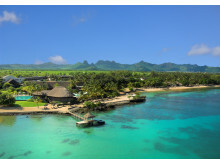 Honored for high quality, excellent cooperation and superb service: The ​5-star Maritim Resort & Spa Mauritius. 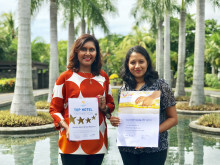 The 5-star Maritim Resort & Spa Mauritius has received for the third consecutive year, the prestigious ‘Top Quality Award 2019’ by ‘TUI’, Germany’s leading tour operator, for its great attention to details, superb service and outstanding cuisine. The hotel has also received at ITB, one of the world’s leading travel trade shows, the ‘Top Hotel Partner 2018’ award from the legendary tour operator ‘Schauinsland-Reisen’ for its excellent cooperation and high ranking in its guests preferences. Joelle Jean, Director of Sales of Maritim Hotels Mauritius with Miss Manesha Gokhool, Sales Manager of Maritim Hotels Mauritius (from left). 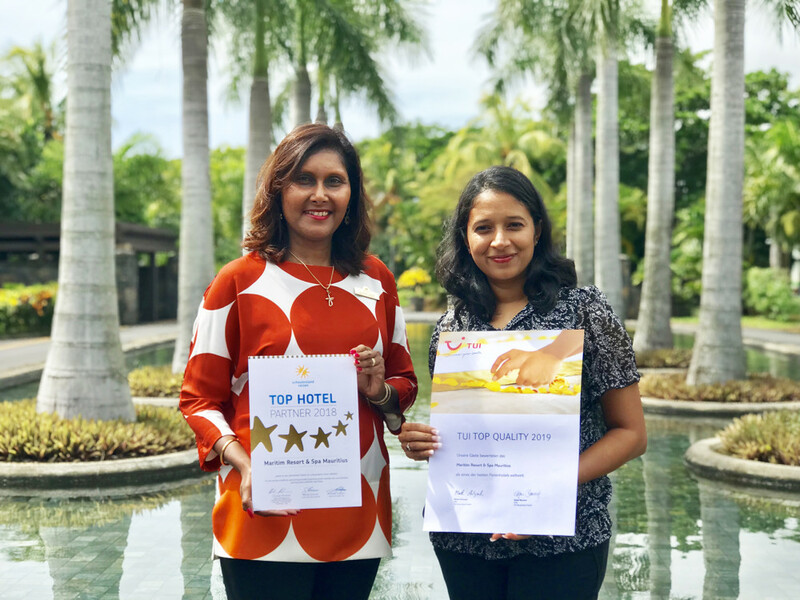 “It is a real honour for the whole Maritim team to receive those recognitions from key travel partners and those who matter the most, our guests” declared Peter Edler, General Manager of Maritim Resort & Spa Mauritius. The 5-star Maritim Resort & Spa Mauritius is ideally located on the sheltered and sunniest North-West of the island along a 800 m sandy beach. Situated on the first protected marine park of the island ‘Turtle Bay’, it covers a historical estate of 25 hectares and offers an exclusive array of experiences. 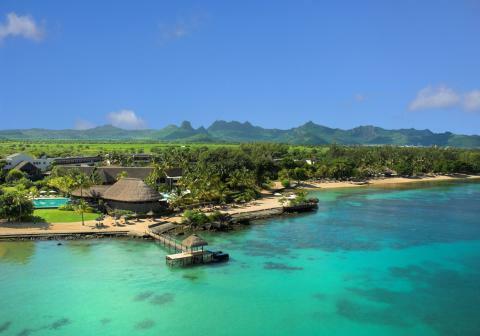 The hotel is enclosed by a tropical garden with endemic species, awarded ‘Most Beautiful Garden of Mauritius’. The property is comprised of the ‘Historical Ruins of Balaclava’ which are relics of the 18th century. The hotel features 215 luxurious sea facing rooms which are beautifully designed and decorated. Extending the dream, this luxurious resort offers a wonderful selection of culinary delights with 6 restaurants including the elegant Château Mon Désir renowned as one of the best fine dining restaurants of the island and set in an exceptional colonial-style mansion. Well being is taken care by the award winning Maritim Tropical Flower Spa offering exclusive treatments including beauty rituals from the French spa brand Décleor within 3500 m2 and stunning wellness facilities. An infinite range of land and water sports is available including a 9-hole (PAR 29) golf course and Equestrian Centre. The little ones are pampered by a dedicated team at the Turtle Kids Club, the mini golf, the animal farm and the giant tortoise park. The hotel also offers exceptional and varied facilities for all types of events that can accommodate up to 1,200 guests. Unique in Mauritius! ‘TUI Top Quality’ is the prestigious award for TUI’s best hotels. All winners have met the following conditions: at least 30 assessments from the TUI guest survey within twelve months ; perform and pass the TUI Safety Check and signing TUI Deutschland’s Pool Safety Declaration; accolade earned the highest ratings in their guest survey and scored at least 8.7 out of 10 possible points. Schauinsland-Reisen is a family- owned German tour operator with over than 100 years of experience. It currently ranks sixth among German package holiday tour operators and is also among the top 20 tourism companies in Europe. Those awards are been giving every year to their best hotel partners and most popular hotel.